The concept of the five koshas describes the layers of our being, from the grossest physical level to our innermost, subtle core. The second layer of being is Prana Kosha. The five koshas are linked together like the petals of a rosebud, each one overlapping the next. It is impossible therefore, to work on one layer of being in your yoga practice without touching other, more subtle layers. Typically, once we have begun to work on the anna kosha level, we experience a natural move towards working at the level of prana kosha. Prana is not breath, so much as subtle energy, but it is closely linked to the breath and working with the breath is the most obvious way in which we work at the level of prana kosha (click here for a more detailed description of prana). When we begin practising yoga it is not unusual to find that we are disconnected from our breath; we know that need to breathe to live, but we are rarely aware of the fluctuations in our breath, how our breath changes with our moods and the circumstances in which we find ourselves and conversely, how we can alter the way we think, feel and act when we change the way we breathe. We may already have discovered how body and breath are connected by considering the concept of anna kosha while we practice, for we cannot breathe fully if our shoulders are constricted, our respiratory muscles atrophied, or our breathing patterns unnaturally disrupted. Prana is life-force, or energy, somewhat like Qi in Chinese medicine. It is what we are working with in yoga every time we come to practice. Through controlling our bodies, improving our fitness, learning how to observe our feelings and keep track of them and how to be well, we improve our energy levels and this has a positive impact on our well-being and on the way we move through life. When we work at prana kosha level, we are learning how to become more aware of the things that conserve our energy (the things that nourish us) and the things that leach our energy (the things that drain us); by paying close attention to our breath, body and energy levels we thus learn how to care for ourselves in a more subtle, individualistic and effective way. Working with prana kosha can bring about great changes in body, mind and spirit and thinking about our yoga practice in these terms helps us to focus our minds on what we choose to do with our energy, how our breath effects our health and well-being and what (often very simple) things we can do, in our lives and in our practice to conserve and respect our own energy levels. Be aware of the way you use your energy, focus on your breath and be careful where you place the focus of your mind when you practice; think about what you need from your practice each time you come to your mat, rather than doing what you always do; let an awareness of your prana kosha deepen your practice and make it more effective. The simplest way to work with prana kosha is to meditate on the rhythm of your breath. Set aside 10 or 15 minutes to sit quietly and to bring all of your attention to your breathing. Listen to the sound of it, feel the way it moves inside your body, savour each and every breath. The chances are that the quality of your breath (its depth and evenness) improves as your focus on it and it is probable that the physical benefits of this are apparent to you very quickly. When you breathe evenly and deeply, your mind settles a little, your body relaxes a little, your nervous system responds by sending messages to your body that it is safe to relax. 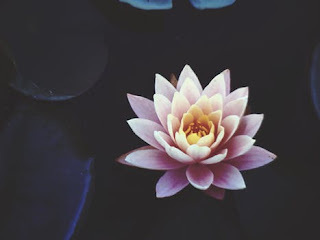 When you sit in quietude, you notice things about yourself that might otherwise have been hidden: you might be tired, you might be full of beans, you might be sad, you might naturally connect with the deep well of contentment that resides within us all. Noticing these things will help you to choose wisely for yourself. If you wish, once you have had time to concentrate on your breathing patterns, you could move on to your usual asana practice, but make your breath and not your body you focus, so that you continue to deepen your understanding of yourself and your breathing habits throughout your asana practice.